Now, you can create a complete bathroom mood, with this beautiful, elegant sink designed to match your Spoon 2 bathtub. 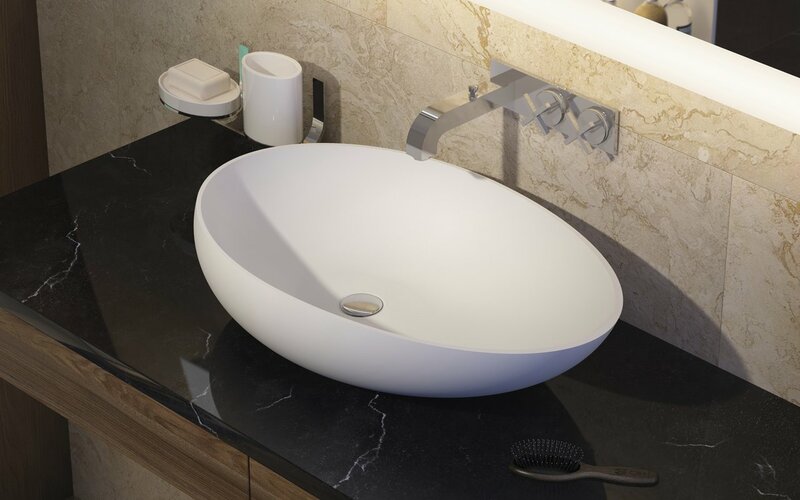 It features the stunning, contemporary off-centre design of the Spoon, unique amongst our bathtubs, crafted from our fine quality AquateX™ solid surface stone composite that is warm and smooth to the touch, but also durable and very easy to clean. This sink reflects the pared-back styling of Spoon 2, with its rimless design and matching AquateX™ waste and would look equally at home mounted on a simple, unadorned shelf or a cabinet, whatever suits your style. 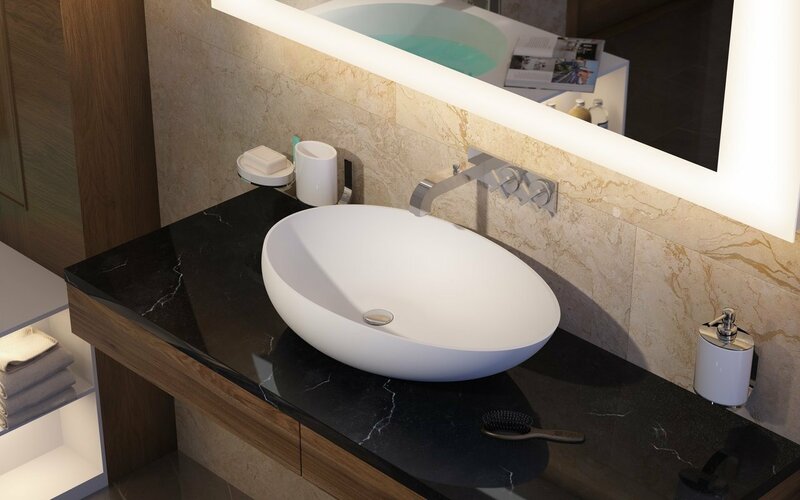 Like the Spoon 2 bathtub, Spoon 2 stone vessel sink is available in pristine white, cool and classy black, dramatic black with white interior or the earthy warmth of our new bronze.